Our Yarn in the Magazines! Crochet pattern magazines have been awesome for DesigningVashti Lotus Yarn. It’s like getting a surprise Valentine each time I hear that a designer or magazine editor has chosen to use it for a design. Interweave Crochet, Spring 2015: Sapphire Sweater. Designer: Doris Chan. Crochet! Magazine, Spring 2015: Harmony Bamboo Tank. Designer Doris Chan. Crochet! 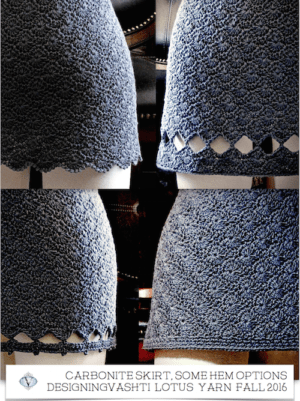 Magazine, Summer 2015: Féileacán Shawl. Designer Jennifer E. Ryan. 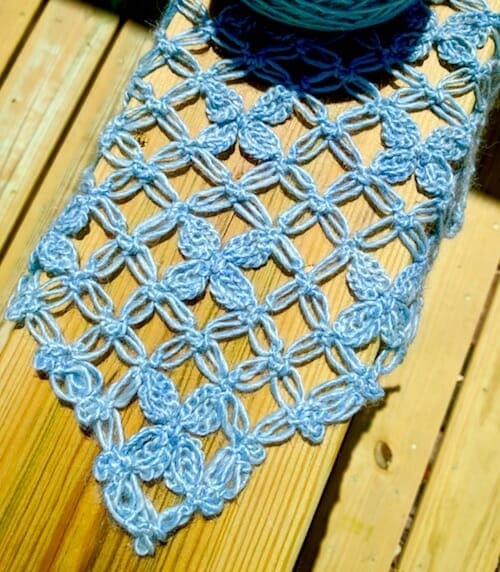 Crochet! Magazine, Spring 2015: Fabric Fusion Tote. Designer Jennifer E. Ryan. 1) Create a design proposal with it. Designers submit their proposals when a magazine editor sends out a call for designs. These calls go out several months in advance of a magazine issue’s publication, especially the print magazines. For example, a call for winter designs might go out in the spring. A digital-only magazine can sometimes have faster production times than print magazines, but speed isn’t everything. There’s nothing like holding a print magazine in your hands or rolling it up in your tote and dashing out the door. I leisurely page through mine several times and save them all. 2) Self publish the design online as a downloadable pattern. This can be in Ravelry or on one’s own site, for example. Doris Chan and I both tried to get indie (self published) patterns out quickly for our Lotus yarn this way. It’s often the fastest route, depending on the design and the designer. See all of our patterns for Lotus in one place. In Ravelry: See all the crochet patterns that list Lotus as the recommended yarn, and all the patterns for knitters. This gallery shows people’s Lotus projects. To cast a wider net, view all crochet patterns for sport weight yarn in Ravelry, and all the ones for knitters. As a designer and also as a yarn company owner, I think a combination of digital and print magazine designs, and quick pattern downloads, is perfect support for a young yarn. As I’ve journaled over at another blog, our yarn celebrated its first birthday a few months ago. I have to remind myself that it’s still a new one, considering that many of the those first months of its life happen behind the scenes. Designs for it are being swatched, submitted, written and edited, photo styled, etc. Crocheting up complete projects for photo styling, or for industry trade show displays. I experienced this as a designer a few times back when I worked primarily with magazines and yarn companies. It was exciting. One brand-new yarn didn’t even have a label yet! The color was whatever the company could get a hold of quickly. Sometimes it was also a little confusing. 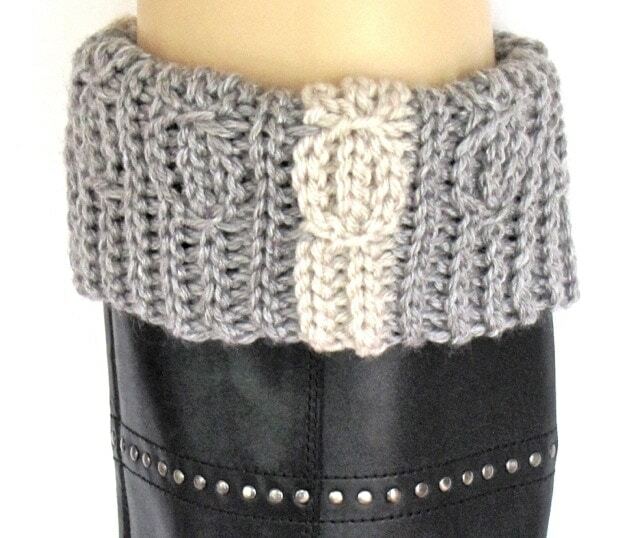 For example, the design was accepted—great!—but the yarn took longer to ship from the mill than expected. The production deadlines had to be readjusted and squeezed in. Occasionally a design contract had to be deferred, or canceled, or a different yarn substituted at the last minute. After these experiences, when I hear from magazine staff that they’ve chosen to include our yarn in a future issue, I immediately ship it to the lucky designer!